A key for Land Rovers manufactured from 1949 cut to number or photo. Models Include: Series 1, Lightweight, Series 2 / 2A, Series 3, Defender, Discovery, Santana. We do not use original Land Rover blanks, we use high quality steel blanks manufactured by Silca. SKU: MCKEAK-LR13. Category: Land Rover. 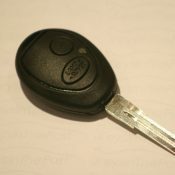 A single Land Rover key remote case, with a blade cut to suit the locks on your car. This key is a plastic case only, there are no electronics included. A genuine Land Rover remote key which we will program to start the engine, and operate the remote central locking of your car. All you need to do is purchase this item through the online shop, and call us on 01732 440472 to book your car in, and we’ll take care of the rest. 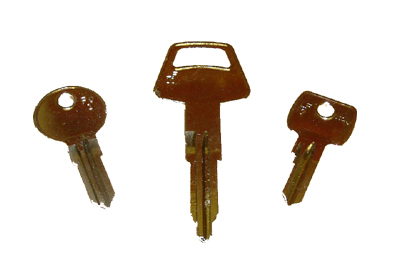 We will cut and program this key while you wait at our workshop in Sevenoaks, which is usually done within 30 mins. We can also offer a mobile service if you need us to come to you, please contact us for more details. Please note we require a key which starts the engine of your car to be able to provide your new key. 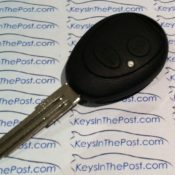 We can also provide a nationwide lost key service if you have no keys, please contact us for more details. A single Land Rover key blade, cut to a photo supplied by you. 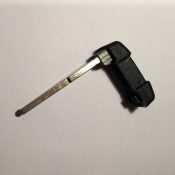 This key blade will fit a genuine Land Rover remote key, so all you need to do is remove the old blade, put it in the new one, and the key will turn the locks. This key is compatible with the following Models and year vehicles: All Land Rover Freelander 2. 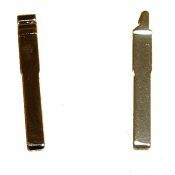 A key blade to fit Land Rover Flip key remotes, cut to the locks on your car.